Something Colossal this way comes! For now, I have news that CANNOT. BE. IGNORED! The focus of my phD is a family known as Cranchiidae (or the glass squid). Most of which are fairly small, delicate animals that live in the deep sea. However, one member of the family is not small... in fact, it's often referred to as Colossal! You may recall when I first moved to New Zealand, I was awed by the size of the one on display at Te Papa (in Wellington). Te Papa has found ANOTHER specimen! Of course, everyone's favorite cephalopod adventurer will be present to oversee the operation! This is the opportunity of a lifetime, and I'm thrilled that I get to share it with you! For more reliable updates on what is happening in the squid lab, follow our twitter account: ALCESonline. That way, you will find out what our other squid scientists are working on! Now I really do need to figure out where I left those vacation pictures.... hmmmmmmm. Day 2 of London was spent visiting the London Museum of Natural History. I got a chance to look at their collections and take note of some important specimens I will need for my phD! It was a great opportunity for me, and I look forward to visiting them again! 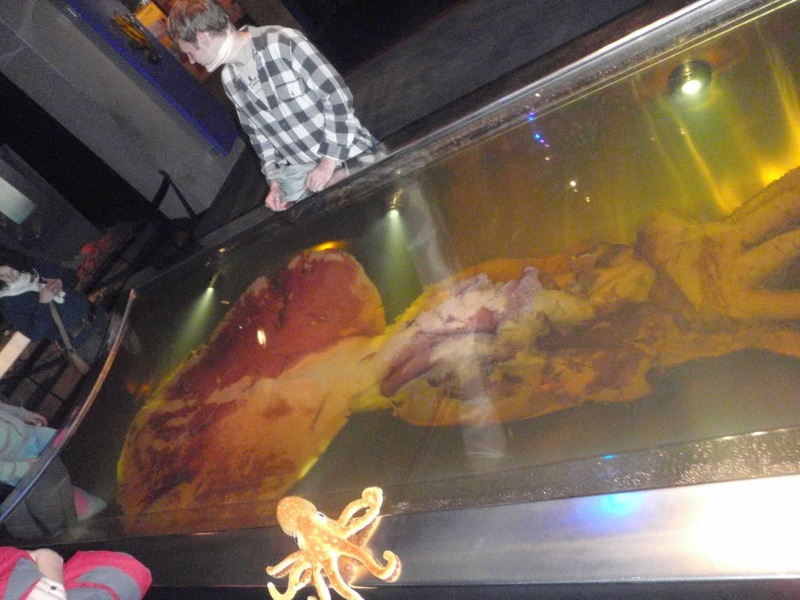 I was able to have a quick peek at the very large giant squid they have their! This was particularily exciting as the AUT squid lab will be doing giant squid dissections next week, and I will still be away. Day 3 was spent travelling to Stonehenge! It was such an amazing experience and I felt very humbled to be in such a spectacular location. The stones are so large, and it's intriguing to imagine how the henge﻿ was constructed. Hello all! After about 24 hours of flying, we landed in London! And we also saw some unexpected things... like this gigantic fish! Turns out the London has a fantastic little aquarium! They put a big emphasis on shark conservation and breeding! ... but she apparently had a prior engagement. Oh well, I'm sure she'll be free for tea tomorrow. We got a birds eye view of the city from the London Eye! Day two looks promising as I will be visiting the cephalopod collections at the National Museum of London. They have a lot of important specimens to view for my phD! Hello from jolly ol' England! And had a brief layover in Shanghai! Now we are resting up in London, and off to Dublin in a few days!! 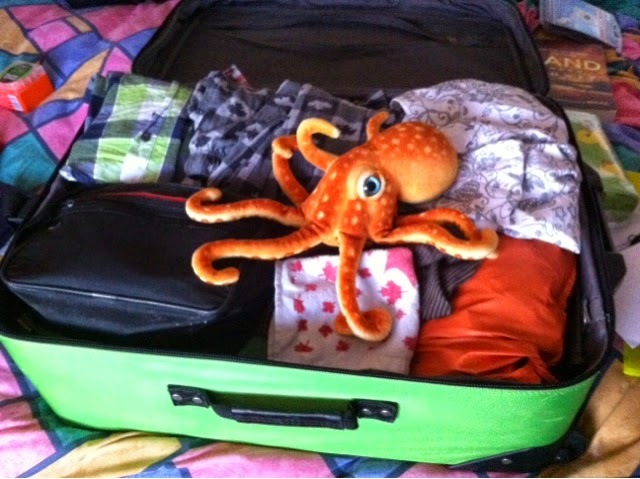 Bags are packed! Where do you think this adventure will take us? Many of you are probably wondering why I haven't been wandering quite so much recently. Well, the distance started because I was in the final stages of finishing my Master's thesis! I submitted it towards the end of 2013, and received very good feedback from my review panel. Although it caused a lot of sleep deprivation, the end result was absolutely worth all the work I put in! If you are interested, the final product can be viewed in the AUT library collections here! 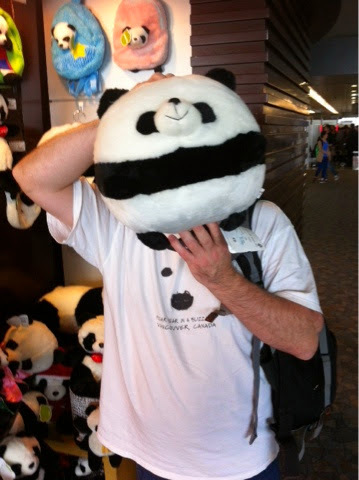 After my thesis was finished I returned to Canada for several months. I enjoyed spending time with my family and catching up with my friends in Maple Ridge! Some highlights from the time home was visiting family in Calgary and getting to travel to the Royal Tyrell Museum in Drumheller (officially known by children 27 and under as "THE DINO MUSEUM!" And of course, I was able to enjoy Christmas at home with my family! Now I am beginning a similar but surprisingly different adventure! I have returned to New Zealand to being working on a phD! I am extremely excited about continuing on with my research on glass squid, and I look forward to the challenges this next degree will bring me! Coming back to AUT feels very different than it did for the first degree. I already had a place to live, I had friends waiting for my return, the staff at the University knew who I was already, and I was able to quickly start working. I have been in NZ for three weeks, and am quickly getting back into my daily routines. Watch this space! More to come on my exciting new adventure soon! 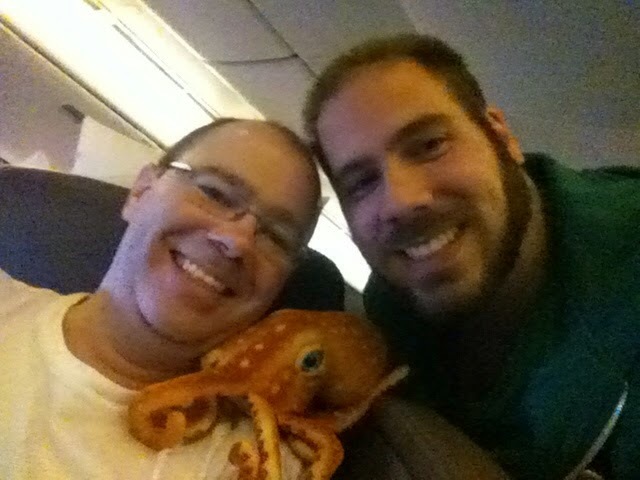 I am an Octopus who travels the world looking for adventure, friends, and of course... cephalopods! 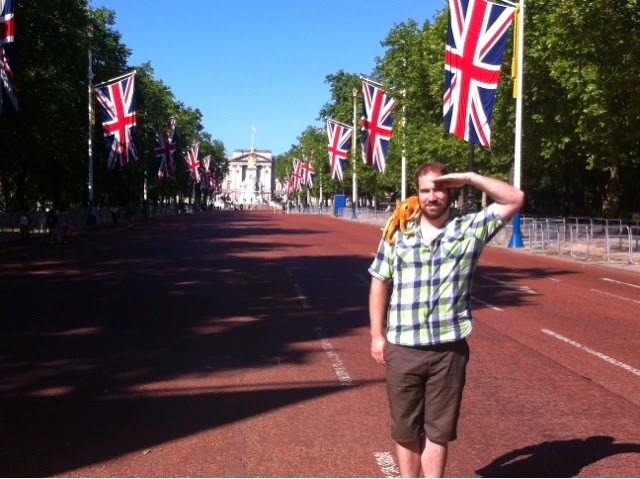 Actually, this blog was set up by Aaron as a means of keeping his friends up to date with what he is doing overseas! Enjoy! The Wandering Octopus's Favorite Sites!